How do I repair the pothole in my driveway? A pothole in a residential or commercial driveway can be easily fixed with EZ Street asphalt. Just fill the hole with EZ Street cold asphalt right from the bag and compact it with a shovel or car tire. The same simple installation steps can be applied to a trip hazard at a front asphalt sidewalk or concrete sidewalk. Both applications will last for years. How do I patch potholes with EZ Street cold patch? 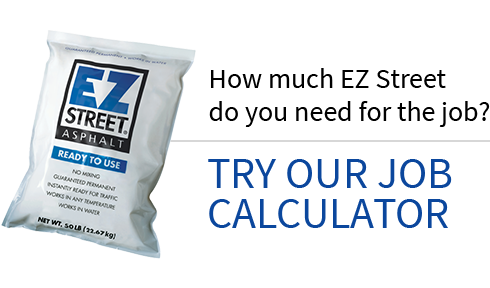 EZ Street cold asphalt is the perfect pothole patch for any driveway or asphalt repair need. It is simple to use and guaranteed permanent! 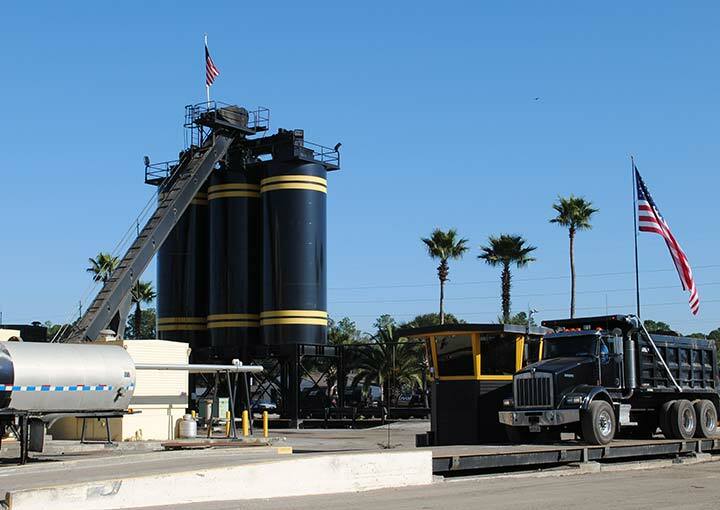 EZ Street cold asphalt will perform best and achieve maximum longevity if the following installation procedures are followed. SWEEP out area to be patched. Make sure to remove all loose debris, broken pieces of pavement, and dust. FILL pothole with EZ Street cold asphalt. For holes deeper than 50 mm, compact material in 25 mm layers. COMPACT the EZ Street cold asphalt with a shovel, tamper or vehicle to just over the level of the existing pavement.